What is black tea? 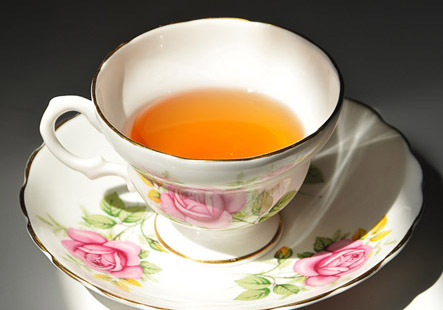 Black tea is the most popular tea in the United States and the favorite tea of the West. It is consumed as either a hot or cold beverage and comes in both loose and bagged forms. 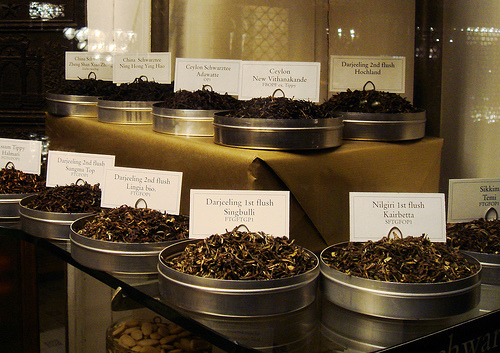 Black tea is made from tea leaves that are fully oxidized, resulting in a dark color and strong flavor. It contains disease-fighting antioxidants as well as caffeine. Where Does Black Tea Come From? Popular types of black tea include Assam and Darjeeling from India, Keemum and Yunnan from China, Ceylon from Sri Lanka, and Turkish Tea from the eastern Black Sea Region of Turkey. What's Special About Black Tea? Black, green, white, and oolong teas all come from the same plant (Camellia sinensis). The only difference is how the leaves are treated after harvest. Black tea is fully oxidized while other types of tea are oxidized to a lesser extent or not oxidized at all. High levels of theaflavins and thearubigins, the complex flavanoids that give black tea it's notable health benefits. Darker leaves, which is where black tea gets its name. A stronger, longer lasting flavor. Black tea retains its flavor for several years. This has made it a popular commodity for trading over the centuries. Withering. Leaves are spread thinly on trays and either placed in the sun or exposed heated air, depending on the climate. This removes excess water. Rolling. The leaves are twisted and rolled, either by hand or by machines, causing them to break apart. This releases some of the leaf juices. Tea intended for tea bags often goes through the CTC (crush, tear, curl) method. This grinds the tea leaves into very small pieces that brew quickly. The Orthodox Method of processing tea is when tea is either rolled by hand or with a type of machinery that preserves the tea leaf. Whole leaf tea is usually processed in this fashion. Oxidization. Leaves are left in a climate-controlled space where they absorb oxygen and increasingly darken. The length of this process determines the type of tea (black, green, oolong, or white). Black tea is 100% oxidized. Drying. The leaves are spread out and dried in the sun or in an oven. 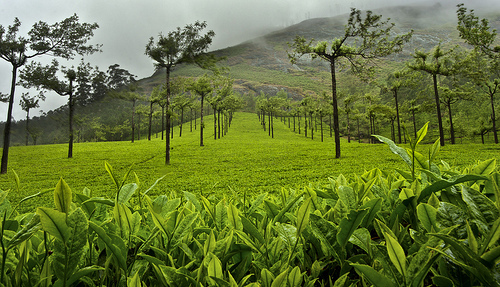 Tea manufacturers can control how long tea is exposed to air. This is called oxidation. Oxidation is a significant part of black tea processing and is what differentiates it from other types of tea. During oxidation, the tea leaves wilt and are broken down by enzymes. The oxidation process can be stopped by heating. Black tea is made from leaves that are fully oxidized. This extended oxidation of black tea creates the complex flavanoid compounds - theaflavins and thearubigins - responsible for the health benefits of black tea. 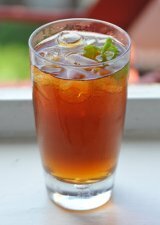 The long oxidation time experienced by black tea causes the leaves to darken. Green tea is oxidized for a shorter period of time, which is why the tea is lighter in color. Tea is sold as both loose tea leaves and tea bags. Loose leaf tea has a deeper and more varied flavor. It is created from whole or partial leaves, which most believe results in a better quality tea. With bagged tea, the leaves are ground down and the texture is more uniform. It brews very quickly. Find out more about loose tea leaves vs tea bags.